As a marketing manager, you may assume that a strong marketing pitch is all that is required. And you can leave it to Google to figure out what the site is saying. But Google, even with all the algorithms at its disposal, may find the going tough if you’ve not strengthened your SEO. Enterprise SEO plays a vital role because tons of organic traffic out there should be coming to you and generating revenue. With weak SEO, you could be missing an opportunity that your competition is lapping up. Competitors may be ranking higher in Google searches precisely because they are following SEO practices. 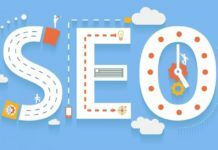 If you want to grow your business and increase profits, your enterprise SEO strategy needs a thorough relook. What Do We Understand by the Term Enterprise SEO? We’re talking about corporate websites that are hosting tens of thousands of pages, they use a commercially paid CMS, and have multiple top-level domains operating in many countries. These are starship enterprises, large corporations, and their marketing strategies will be very different from Small and Midsize Businesses (SMBs). IBM.com is a classic example with over 11 million pages indexed by Google. Enterprise SEO strategy is a must to remain competitive if you are marketing a large website with tons of content. These strategies create an architecture for you to evolve marketing plans. It gives a thrust to goals that yield definitive results. Conducting an SEO audit across your web pages featuring in different domains should be your first priority. You immediately know which page is doing well in search engines, and which pages are performing badly. With this information in hand, you’re ready to create a game plan that’ll improve page ranking in Google. Do an SEO audit of all pages. Rank them in a list from top-performers to bad performers. Then, decide the performance threshold you want all your pages to achieve. Finally, start optimizing the low performers. This is called the average site SEO approach, and it’s very effective. The second strategy is to focus on content. If pages are doing badly in search engines, you optimize the value of the page by shifting to high-quality, high-value content. This works best when you initially cover the low-performance pages and you work your way up to the top performers. 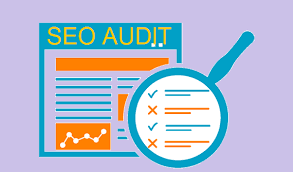 The benefit of doing an SEO audit is that you’ll know your strengths, and you get an idea which pages are on a weak footing in search engines. Next, analyze the kind of search queries that are channeling traffic to your pages. This way, you get to review a wider spectrum of search terms. The data could encourage you to optimize the best keywords that will increase organic traffic and help you engage more customers. Focus on the keywords that visitors are clicking the most, and which are bringing the maximum number of visitors. Analyze search terms which are gaining maximum popularity, or which create the highest impression on visitors. This should make sense from a business perspective. A higher click-through rate would be clinching proof that your web page aligns perfectly with the visitor’s intent. These are the search terms you should take maximum advantage of. Look at the page position in Google rankings so that you get an idea which keywords to optimize to improve ranking. It’s a sound strategy to keep looking at the competition to analyze what they’re doing and how they’re faring using the same keywords. Assess your top five competitors and analyze how they rank in relation to various keywords that are important to you. The way they’re performing for different keywords should give you a clear idea about the keyword that needs to be optimized. This is a result-oriented strategy that can help the business to grow unfettered. Having audited tons of pages and after analyzing and identifying the organic keywords that are best suited to your pitch, it’s time you optimized the pages. Systematically apply your findings and the strategies you devised along the way to your pages starting with the lowest performing pages, working your way upward. Start with page titles, spruce up product descriptions, and restructure the body by eliminating everything that weakens SEO. Though this is a monumental task, it’s worth the trouble because it will spike your SEO performance. Your blog and social media strategy open more windows to let in the fresh air of user traffic. You need to make it easier for search engines to find you, and nothing increases your visibility more than blogging and social outreach. Use the blog’s average SEO score as a starting point to redefine your content strategy. If you are scoring low compared to the competition, perhaps your content isn’t matching the searcher’s intent. 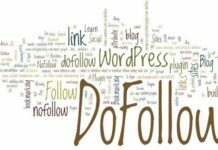 Start with blog posts that are stagnating with low traffic. Refresh and update the content. Ensure that the subject matter is trending with the latest industry-wide changes that appeal to searchers. Analyze your reader profiles, and match content to readers that stand to gain most from your product, concept or idea. Assess your exposure to social media outlets such as Facebook, Twitter, Instagram, and LinkedIn, and devote your attention to increasing your share of web traffic in each media. This strategy will boost SEO and increase search traffic in a significant way. The analytics review can give you a thumbs up if your optimization efforts are translating into powerful gains. If you are achieving the opposite, you know instantly which area needs fire-fighting. Use web analytics software such as Google Analytics to compare and monitor page performance at different levels. You can start by comparing the current and previous year’s search traffic. Look at the number of new visitors you’ve attracted. Note the sessions that booked the highest traffic and analyze the factors that made that possible. There may be lessons here that you could use to improve poor page performance. Note the bounce rate per page/ per session. Reassess your SEO metrics to reduce bounce rates in poorly performing pages. Keeping the ROI in sight, pay special attention to the spikes in conversions that indicate you are doing well. See what you can do to replicate page success in other badly performing areas. 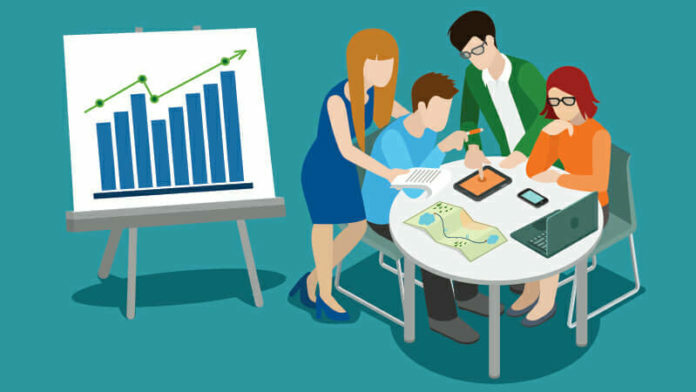 Using the right enterprise SEO strategy, you significantly impact your overall marketing effort. Analyzing how your industry is faring is a good way of benchmarking your site’s SEO performance. This lays the foundation for coordinating all your efforts to optimize site pages and blogs to attract more visitor traffic. As your SEO efforts climax, sit back and analyze whether your strategies have resulted in business growth. If you’ve grown appreciably, you can rest assured that your enterprise SEO strategy is an unqualified success.